Hi quality images, at the touch of a button with the Nokia N97. Use the 5 mega-pixel camera to capture special moments as they happen. A Carl Ziess lens, auto-focus and flash makes sure your images are always captured perfectly. DVD quality video capture even lets you record home movies. Share your thoughts with the world and the Nokia N97. Built in support for sharing sites lets you stay in touch with friends instantly, while media support lets you upload and see your shared media, from videos, photographs and sound clips. The stunningly sharp 640 x 360 pixel display with a generous 3.5" display brings your media to life with exceptional clarity. The high resolution wide screen display lets the Nokia N97 display movies and web sites with ease. Stay on top of everything. 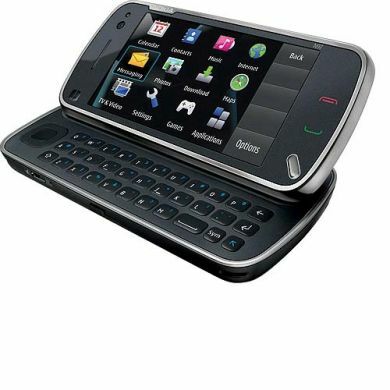 Reply quickly to messages with the full QWERTY keyboard, or send a quick message with the on screen keyboard using the touch sensitive display on the N97, letting you stay on top and in touch.